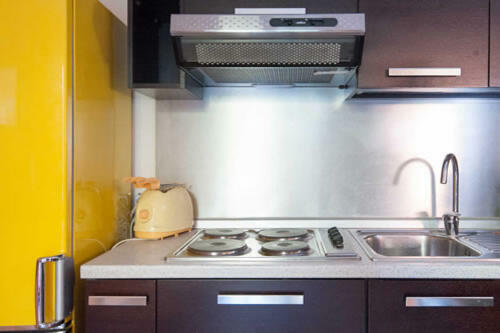 You need an elegant B&B near Vatican City Rome? Aurelia Garden Gold Bed&Breakfast in Rome, new and elegant, surrounded with a lot of green, peaceful and quiet, out of city chaos at 3 miles from Vatican City. 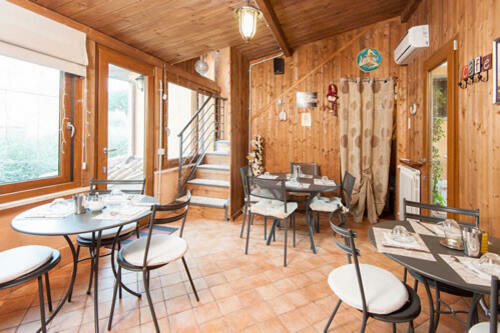 Are you looking for a cozy and comfortable accommodation, surrounded with a lot of green, Spa and fitness area, away from the busy but very close and well connected historical city centre The B&B Aurelia Garden Gold is the structure that suits you! 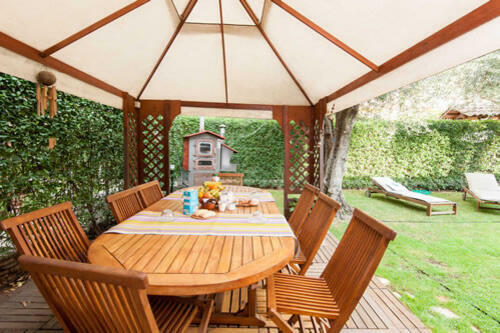 The B&B Rome Aurelia Garden Gold is the new fine structure that was created to meet the needs of those who want to stay in a comfortable and familiar atmosphere, enjoying the beauty and charm of the eternal city, but outside the city chaos. 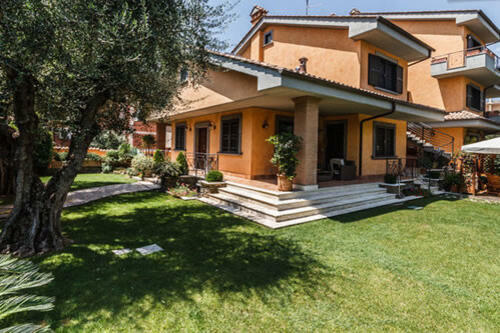 This B&B is part of a recent constructed villa, peaceful and secluded in Aurelia zone. The structure, elegantly furnished, provides a quiet and comfortable stay. Rooms at B&B Rome Aurelia Garden Gold B&B have private bathrooms, flat screen TV, air conditioning, safe, minibar and Wi-Fi. Main feature this B&B is an exciting and relaxing Spa (Afrodite Wellness Center) with an Arabian hammam connected to bedrooms floors by elevator. The care and customer focus, besides the professionalism and friendliness of management with those of comparable hotels of high category are the peculiarities of the B&B Rome Aurelia Garden Gold that offers elegance and comfort at the right price! The landscaped garden with old olive trees will be to welcome our guests, while Paolo and Cristina with their small children, Valentina and Emanuele, will be glad to welcome you and accompany in your lovely room. It’s located in the Aurelio district, a central area and is served by rail (Roma Aurelia station 0,5 miles from B&B), by bus (line 892 150 meters from B&B, terminus near Vatican and metro line A Stop Valle Aurelia) and the taxi station (150 meters from B&B)where you can reach the heart of Rome and points of interest. We can offer also a modern Fitness Area (Technogym Equipment). This will allow you to relax, keep fit, but above all to be pampered during your stay. Furthermore, to ensure maximum comfort and a feeling of wellbeing, every room has been assigned a colour so as to stimulate the beneficial effects of colour therapy. You can stay in the room that best represents your state of mind, based on availability. The IDI CENTRE (about 3.5 km). To guarantee high quality service is the experience in hospitality of Paolo and Cristina, accumulated over the years with the Aurelia Garden B&B; in 2011 so that Aurelia Garden Gold B&B was awarded the “B&B DOC 2011 Award” for having distinguished himself in the category “Professionalism and Elegance”, award given to only three B&B of non – hotel sector from Albaa.